Hadassah, the Women’s Zionist Organization of America, and Hadassah International join together to condemn the devastating terror attacks against two houses of worship in New Zealand on Friday, part of which was livestreamed online after the publication of a white supremacist manifesto. “Hadassah stands in solidarity with the Muslim community and the people of New Zealand. We join organizations around the world in condemning these ruthless acts of terror that took the lives of innocent civilians at prayer at the Al Noor and Linwood mosques. 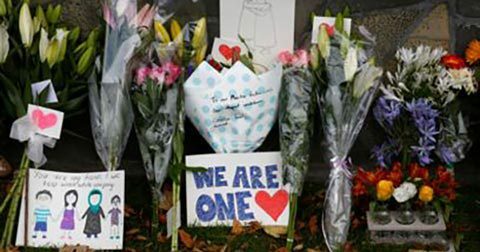 “Hadassah International extends its sympathy to the people of New Zealand broadly, and the Muslim community specifically. “What happened in Christchurch in a place of worship was a terrorist attack that has shaken the heart and soul of New Zealand. Our country changed overnight. New Zealanders basked in the sunshine of the Pacific hoping our community was immune and insulated by distance and inherent decency from the wickedness of terrorism. Our police are not armed, and we have a miniscule defense budget. We have been woken up. Automatic weapons are already banned here, but our Prime Minister immediately announced that our gun laws are to be tightened further. Conversations are taking place about ways Prof. Esti Galili-Weisstub, head of the Herman Dana Division of Child and Adolescent Psychiatry at the Hadassah Medical Organization, can join Hadassah Australia in supporting NZ in mass casualty treatment. They are exploring ways that Dr. Galili may be able share her expertise in helping children overcome post-traumatic stress. Learn more about Hadassah, the Women’s Zionist Organization of America. Learn more about Hadassah International.